Land records can give us loads of information about our ancestors. But what do you do when you go through the deed index and you can't find your ancestor's land records? There are some reasons why you're not finding them. Fortunately, there are some ways around it. Before we get into it, let's get this out of the way... Your ancestor might not have owned land. However, before you decide to skip land records completely, consider that your ancestor might appear in records other than deeds. Could he have attempted to purchase land? Look in mortgage records which are sometimes available in the same office that records deeds. Look also for records of tenant farming and sharecropping agreements. Most states weren't formed with all of their counties already in place. County boundaries evolved over time. The records are going to be in the county where the land was at that time. My ancestor Peter Starkey purchased land in what is now Perry County, Ohio. However, when he bought it, that land was still part of Fairfield County. I would have to look in Fairfield County's records for the purchase. 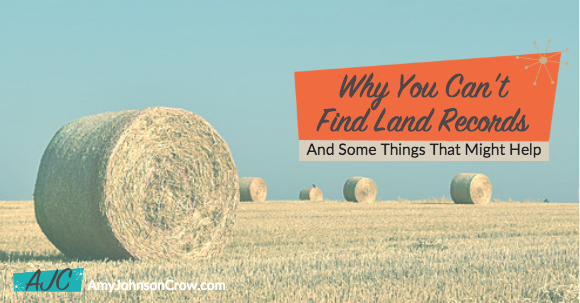 Similarly, if you can't find a sale of land you know your ancestor had, look to see where there land was located. Is it now in a different county? If so, you need to look in that other county for the sale. Deeds cost money to file. They also require a trip to the courthouse. If your ancestors were like mine and they were cheap... I mean, frugal... they might have skipped recording the deed if they had another document that proved the transfer of ownership. 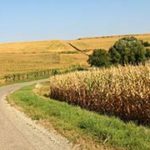 Several of my early Ohio ancestors purchased land directly from the Federal government, yet never recorded that purchase with the County Recorder. They probably figured that the certificate they received from the Federal land office was good enough. I've also seen countless examples of people receiving land in a will, but who never recorded that transfer at the Recorders Office. If your ancestor sold land as part of a group, perhaps with his or her siblings, he might not be listed in the grantor (seller) index by name. Some clerks wouldn't list everyone who was party to the deed. Instead, they would index the first person and add "et al" (Latin for "and others"). If your ancestor wasn't the first in the list, he would be part of the "et al." How to work around this is to look through the index for people associated with your ancestor, especially the siblings. Are there any deeds listed as Smith, John et al? That's your clue to take a look at that deed, because there are other people besides John Smith in it. But what if you don't know your ancestor's siblings? Look through the index for anyone with that surname. Focus first on the records of land in the same area where your ancestor was. Looking for ways to expand your research? 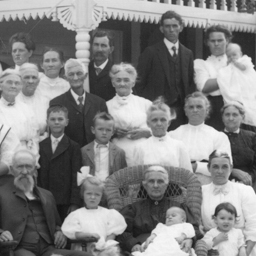 Subscribe to my newsletter and get my FREE guide "6 Sources to Build Your Ancestor's FAN Club"
If your ancestor fell onto some hard times, he might have lost his land. In those cases, the deed might not reflect him as the seller. The seller might be the bank he lost it to or even the county Sheriff or other official. 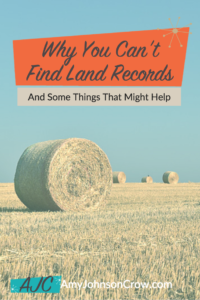 The deed might reference how the bank or Sheriff came to sell this land (often mentioning court cases, giving you another research lead), but how do you get into these records if you don't know who is considered the seller and you don't know who purchased it? There are two ways around this problem. First, see if there is a geographic index to the deeds in the county. (In some places where they used a rectangular survey, it's called a Range Book.) Look up the property description and follow the transactions back to where your ancestor acquired it; the next transaction would be the next person acquiring it. Now that you have the buyer's name, you can look up that person in the grantee (buyer) index. If the area doesn't have a geographic index, look at tax records. Real property tax lists generally include the legal description of the land. Read the tax list for your ancestor being taxed on that land. When he drops off the list, read the next year's tax list but instead of looking by name, scan the columns for the legal description. Once you find it, see who is being taxed on it. Now that you have that person's name, look him up in the grantee (buyer) index to see how he acquired it. You’re welcome, Wendy! Glad it was helpful to you. I could never find a deed for a research subject even though he was regularly taxed on 147 acres of land and the Orphans Court records show the valuation and subsequent sale of the land after his death. I finally found the information regarding the ownership of the land all the way back to the original warrant in the deed where his son-in-law, who bought the land from his estate, sold it 11 years later. Ah, some more “frugal” ancestors not bothering to record the deed 🙂 Nice job on the find! Very good post. Land records are gold when your putting together a family. I’m giving a presentation on this at the 2019 OGS Conference. As usual, your insight is brilliant! Your information is not only great for ‘newbie’ genealogists but a great check list and reminder for us ‘oldies’. Thank you! I have just located Maine Land Records going back to my 5th g-grandfather by using this clue! Now I can, perhaps, confirm the date that the house I lived in as a small child was built in 1850. It was in the family until the 1960s. Awesome, Marion! While you might never find proof about that particular house, look at the real property tax lists and see if there’s a spike in the value (which could indicate a new house on the land). I’ve had very poor luck with tax records, except for those actually transcribed into a commercially available book, or in a periodical. What are your secrets for locating the original records in courthouses that asssure you they don’t exist? Great question! I would start with the FamilySearch catalog and see if they were ever microfilmed. If you don’t find them there, contact the local genealogy or historical society. 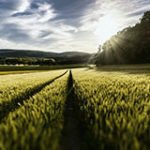 How can I find out about tenant farming? It seems my ancestors did this, rather than own land. How can I find out about tenant farming? Very good tips. I finally found a land record when the owner sold it, recording the purchase deed more than 20 years after acquiring the property! Even though the state had sold him the foreclosed property, they still listed my ancestor on the earlier deed. On another matter – when I ask at courthouses about 19th century tax records, they usually tell me they don’t keep them from that long ago. They only have more recent records. Am I asking for the wrong thing? The wrong department? Regarding tax lists, you’re probably in the right department, but they just don’t know it 😉 I would contact the local genealogy society to see if they know where the old tax records are. Also, check the FamilySearch catalog to see if they’ve ever been microfilmed. Unfortunately, those avenues haven’t panned out so far, but I’ll keep digging! Thanks!! we just returned from Ohio where we were able to see the actual written land deeds in large books dating to early 1800s. It was awesome and we were so excited to be able to extract so much information about our family. We also found out about counties that had “expanded” by first researching in the library the evolution of the county. That is how we were able to discover these records in the county land record ARCHIVE offices. They had not been microfilmed and so we initially thought they didn’t exist. We expanded one family to eight children we had no prior knowledge of. Going in person seems to get better results in our case. One of my brick walls involves finding the parents and or in laws of a man who lived in New Jersey early on before migrating to Kentucky and then on to Ohio. He is listed in the Hillsbrough Township “Census” of Somerset County New Jersey for 1784. It is basically a tax list. It lists him as a householder and gives a location by number. I feel I should be able to trace the owner of the property where he resided from that piece of info. It is my understanding he was renting and to me it is possible that he was renting from a relative. Perhaps his in laws. Any ideas how to proceed with this? I have written the county and they sent this info. I have hired a researcher who did not have luck finding information. I have had a friend look when visiting the area. I have copies of the tax list and the explanation from the september 1984 Somerset County Genealogical Quarterly Vol 2 No 3 pages 101, 102, and 130. My grandfather rented farms from 1900 to 1920 in both northern Illinois and northern Indiana. Do you think there would be any records of that? The Virginia State Library & Archives house the tax lists for Virginia and early West Virginia counties that were once Virginia before the Civil War. Therefore, you may want to check with your state libraries & archives. 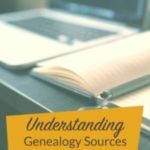 "6 Sources to Build Your Ancestor's FAN Club"